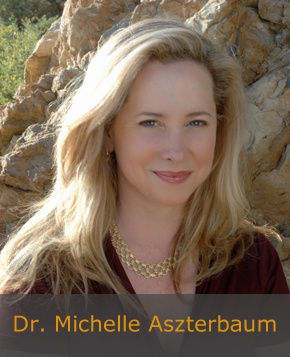 Dr. Michelle Aszterbaum is committed to providing excellence in every aspect of medical, surgical and cosmetic dermatologic care to restore a healthy, youthful appearance. To Dr. Aszterbaum, "Excellence" refers to delivering the highest quality of individualized dermatology care and cosmetic surgery in a safe, effective, and technologically innovative way. Whether you are seeking medical or surgical help for rosacea, varicose veins, psoriasis, acne, hair and nail diseases, or skin cancer, count on us for the highest quality of care. When you are looking for red face treatment, age spot removal, wrinkle treatment, laser tattoo removals, laser hair removal, or varicose vein treatment, we are here to help you achieve your goal. A highly skilled and experienced dermatologist, Dr. Michelle Aszterbaum offers the latest cosmetic surgery advances in facial skin rejuvenation, facial and body tightening procedures and body contouring, Botox, facial fillers for volume loss and wrinkles. We are the leading dermatology center serving residents of Newport Beach, CA and Orange County including, Corona Del Mar and Newport Coast. The staff includes specially trained, licensed aestheticians who work closely with our Dr. Aszterbaum. Dr. Michelle Aszterbaum, Dermatologists has provided this website as a service to her patients, as well as our community. While Dr. Aszterbaum and her representatives strive to keep the information contained in this site current, no warranty or guarantee concerning accuracy of content is made.